Wowers Multi-Level Risers By Spring USA! 9 ” H x 26 ” L x 18-7/8” W – 9-7/8 Quart Capacity. Features Chrome Accents. Uses Electric Heating Element Item #9506/1. Replacement Axles can be ordered. See Item # AA-639. Replacement Water pans are Item #E509-60A. Looking to vary your inserts? Spring USA offers a full line of insert options. Your Sales Coordinator can assist you in selecting the perfect look for your next function. 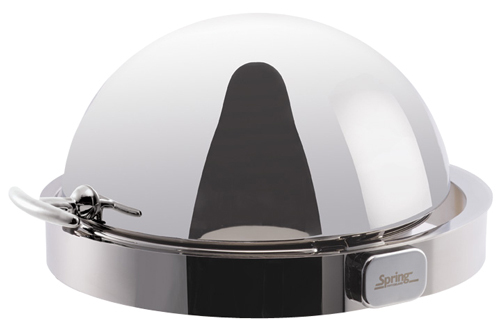 All of our built-in chafing dishes are NSF approved! Comes with Electric Heating Element, Item #9524/1. Replacement Axles can be ordered – Item # AA-633. Contact your Spring USA Sales Coordinator for additional information! 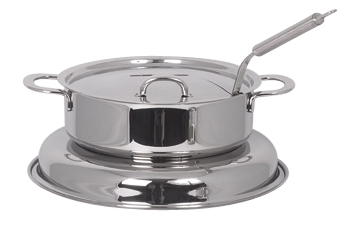 9” H x 11” Diameter – 6 Quart Capacity. Featuring Chrome Accents. Comes with our Patented, Hinged-Top Cover. One Electric Heating Element is Included – Item #9520. Complete the look! Remember to order the Tureen Ladle with Bent Handle ~ Request Item #M3505-76. Ladle measures 11″ & has a 6 ounce serving capacity. Fits beautifully in the tureen. Prefer a cover with a knob? 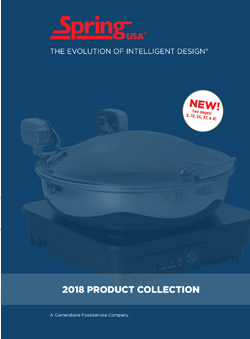 Contact our Spring USA Sales Coordinator for additional cover options. Note: This is a large file and may take several minutes to download.